More than half of the Byzantine buildings in the Marmara region have been damaged, according to a report released yesterday by a volunteer group, the Archaeological Settlements of Turkey Project, or TAY. There are 336 buildings in the area dating from Byzantium that have been severely damaged, TAY coordinator Oğuz Satıcı said in a press conference on the group’s report, "Archeological Destruction in Turkey, 2008, Marmara RegionĞByzantine Period." The region contains more than 450 buildings that were created the Byzantines. In Istanbul, Satıcı added, more than 160 buildings from the Byzantine period have been exposed to damage. The TAY team has found 36 buildings or remnants in the area that were not detected before. TAY is composed of academics who voluntarily document and assess the damage done to archeological sites in Turkey. Around 20 volunteers worked for five years to document the data for the new report. Culture Minister Antonis Samaras announced on Wednesday that work will soon begin on a new archaeological unification and 3.4-hectare archaeological park in downtown Athens, on the site once occupied by Aristotle's Lyceum in ancient Greece. Samaras said that a protective canopy will be built over the antiquities in the palestra (wrestling arena) of the lyceum's gymnasium and they will also be linked with the Byzantine Museum. The project was first initiated in 1996, when excavation works revealed the archaeological findings and the site. They started with restoration works on the site in 1997, followed by the announcement in 2002 of a tender for a technical study on building the canopy and associated works that is finally being carried out this year. Archaeologists excavating beneath Cathedral Square in Peterborough have found the remains of ancient medieval buildings. One of the buildings, which probably stood until the 17th Century, may be part of the old Butter Cross – a building in the market place where butter, eggs and meat were sold. Up to six archaeologists a day have been working on the site for several weeks in preparation for the main square improvement works, which are being delivered by Opportunity Peterborough and Peterborough City Council. The ultra-modern Acropolis museum, situated below the ancient landmark that defines the Greek capital Athens, will belatedly open in June, Greek Culture Minister Antonis Samaras said Sunday. "We are preparing a jewel of a museum whose opening on June 20 will be a major, global event," said Samaras after giving European Commission President Jose Manuel Barroso a guided tour of the venue. The three-level museum, with a total area of 25,000 square metres (270,000 square feet), includes a section reserved for the disputed Parthenon Marbles, currently at the British Museum in London. Eschewing traditional art-historical approaches, Alan Vince, who has died of cancer aged 56, transformed the study of Saxon, medieval and early modern ceramics by applying geological and archaeological techniques. He examined the petrological composition of pots, comparing their constituents with rocks from known geological deposits. Working from microscope slides and later also with chemical analysis of the clay, he could deduce the geographical origin of the pot - sometimes even the precise kiln that had produced it centuries ago. In many hands such information would be of purely academic value. But Alan compared tens of thousands of potsherds, from dozens of sites, deploying statistical techniques to transform understanding of conditions in English towns. In London it emerged that the Norman Conquest of 1066 made little difference to trade in pottery, to the types of vessel in use or, by inference, to the domestic way of life of most Londoners. A ROMAN skeleton which was found in Kingsholm is being investigated by archeologists who are keen to trace his origins. The male skeleton was discovered in 1972, north of Kingsholm Square and ever since experts have wondered where he came from. Now, the Gloucester City Museum has had funding for the analysis of the skeleton using new technology to work out where he originated. Member and former president of The Bristol and Gloucestershire Archaeological Society, Carolyn Heighway, said: "We believe he was a special person in the late Roman period in Gloucester, judging by his grand belt and buckles and that sort of thing. "Subsequently it was judged by academics that he could have been of eastern European origin and was probably part of the Roman army." Archaeologists excavating a site in East London have made an "extremely rare and unprecedented" find -- a delicately detailed dish made of hundreds of pieces of tiny glass petals, the Museum of London Docklands announced Wednesday. The "millefiori" dish (the name means "thousand flowers") was found buried in the grave of a Roman Londoner, the museum said. Based on the other grave goods found at the site, archaeologists believe the person buried there was wealthy, the museum said. A rare Roman millefiori dish has been unearthed by archaeologists from the grave of a wealthy Londoner. The dish, which has gone on display at the Museum of London in Docklands, was found during excavations in Prescot Street, in Aldgate, east London. It was pieced together from its many fragments. An archaeologist says a rock used to mark a parking lot at a church in Sweden is actually a 1,000-year-old runestone. Stockholm County Museum runic expert Lars Andersson said a rock used to help mark the lot's boundaries is thought to date back to the Viking Age in Sweden, The Local said Friday. Andersson said in a museum statement the discovery of runic inscriptions on the rock thanks to rainy weather was akin to a "religious experience." NETTLE soup, spit-roasted lamb and clay-baked fish were on the menu for hundreds of visitors to Perthshire yesterday. The Scottish Crannog Centre at Kenmore hosted its 10th annual Spring Celtic Food and Drink Festival which offers a culinary trip back in time. A CHALLENGE to see which York organisation could raise the most money for a national charity saw contenders gather at an award ceremony to watch the top money-spinning team being crowned. The Business Brains Teams raised more than £3,000 between them for Sue Ryder Care, with York Archaeological Trust emerging as winners after raising £1,075. Among the teams gathered at York College for the award ceremony were Coral Betting, Cue Ball Snooker Club and business students from the college. Total 4,300 mediaeval coins dating back to the second half of the 12th and the beginning of the 13th centuries have been unearthed at the Carevi Kuli archaeological site overlooking Strumica. The coins contained in two ceramic bowls have made one of the largest and most important mediaeval findings so far, according to Archaeologist Zoran Rujak, the head of the ongoing archaeological excavations. "According to previous knowledge, it is about three types of coins forged under Manojlo I Komnen and subsequent emperors," Rujak says. FOUR finds by Island metal detector enthusiasts have been declared treasure. The most ornate was a post-medieval dress hook, found by Cass Davis while metal-detecting in the Arreton area earlier this year. The silver-gilt trefoil-shaped hook was said to be in very good condition, complete with its soldered bar at the back. It could have been used to draw garments together or prevent clothes from trailing on the floor, said Frank Basford, finds liaison officer. HOPES that a discovery made by construction workers on a site in Dungannon could be proof of the existence of the legendary "secret tunnels" leading from Hugh O'Neills castle, were dashed when an archaeologist confirmed the structure was a well dating from the late 1800s. The find, which was made by contractors in the town's Irish Street on Wednesday morning, had created quite a stir in the local area, with rumours abounding that one of the ancient passageways had been uncovered. Legend has it that a series of tunnels run the length of the town's main thoroughfare from Castle Hill, offering the ideal escape route for any impending attack on the medieval fortress. The entire exhibition area of the Viking Ship Museum will invite the public inside (and outside) to tell the story of the reconstruction of the Viking Ship Museum, the world’s longest sailing Viking longship. The exhibition with provide insight, results and experiences from the entire history of the Sea Stallion, from its creation to its epic return voyage to Dublin 2007-08. Though obscure in other respects, 1936 was an important year for the philosophy of the human past. This was the year in which the Australian archaeologist V. Gordon Childe published Man Makes Himself, a book that became one of the most widely read works of archaeology ever published. In the same year, R.G. Collingwood, the Oxford don, sat down to pen 36 lectures later published as The Idea of History, a landmark in historiography. There is nothing to suggest that Collingwood read Man Makes Himself while writing his lectures, though we know that Childe, in later years, read Collingwood. The books themselves could not be more different in form, in substance and in their intended audience. Yet both authors, in their very different ways, had things to say about the curious fragmentation that afflicts the science of the human past. For, when you come to think of it, why do we have history and archaeology? This was not a question that motivated either Childe or Collingwood. But today, more than 70 years on, it is a question that is causing more and more people to scratch their heads. With enough scratching the answer becomes clear: there is no logical way to defend any division of human history. It is high time to reunite archaeology and history. THE DISCOVERY of two Roman structures in Otford could lead to a revaluation of their time in Britain. The last two weeks of an archeological project to excavate a site in the village drew to a close earlier this month with experts believing they may have unearthed two pottery kilns, each around 4m in diameter. Until now it had not been thought that the firing of pottery – a huge industry in Roman times – was carried out in this area. Mystery Of Horse Domestication Solved? Wild horses were domesticated in the Ponto-Caspian steppe region (today Russia, Kazakhstan, Ukraine, Romania) in the 3rd millennium B.C. Despite the pivotal role horses have played in the history of human societies, the process of their domestication is not well understood. In a new study published in the scientific journal Science, an analysis by German researchers from the Leibniz Institute for Zoo and Wildlife Research, Berlin, the German Archaeological Institute, the Humboldt University Berlin, the Max Planck Institute of Evolutionary Anthropology, Leipzig, in cooperation with American and Spanish scientists, has unravelled the mystery about the domestication of the horse. Giving birth is more difficult--and dangerous--for modern humans than for any other primate. Not only do human mothers have to push out babies with unusually big heads, but infants also have to rotate to fit their heads through the narrow birth canal. Now, a new virtual reconstruction of the pelvis of a Neandertal woman suggests that Neandertal mothers also had a tough time giving birth to their big-headed infants--but the babies, at least, didn't have to rotate to get out. Once upon a time, a major shift took place in the evolution of childbirth. Fossil female pelvises of a 1.2-million-year-old Homo erectus, a 3.1-million-year-old australopithecine, and a 500,000-year-old archaic modern human all contain oval birth canals that are widest transversely--from side to side--when viewed from the top. But modern women's birth canals, though also oval, change shape halfway down the birth canal so that they are widest from front to back at the bottom, near the pelvic outlet. This means that the baby has to rotate its head to fit as it moves through the birth canal. If a baby fails to rotate, another part of its body, such as its shoulders, hands, or feet, may obstruct the birth canal, which is painful and dangerous for the mother and infant. The Hobbit looks even smaller in real life. A skeleton cast of tiny and controversial Homo floresiensis, nicknamed the Hobbit, went on public display for the first time Tuesday at Stony Brook University on Long Island. The specimen, discovered in 2003 in Indonesia, is hotly debated among scientists. Some claim it represents a new diminutive hominin species, while others argue it is simply a modern human dwarfed by some medical condition. A youngster with a passion for discovering fossils is celebrating after finding an arrowhead thought to be more than 2,000 years old. The item, which dates from the late Neolithic early Bronze Age period, was found by Joseph Parker. The eight-year-old found the arrowhead in a gravel path at Northamptonshire Grammar School in Pitsford where his father works. To be safe, you should never believe anything you see in a fly-on-the-wall TV documentary. Paul Watson, with The Fishing Party, The Family and Sylvania Waters, and Michael Waldman with The House (about the Royal Opera House), discredited the truthfulness of the form and made “fly on the wall” synonymous with arrogant cruelty. Astronomers have reported that the Sun is at its dimmest for almost a century. Some scientists believe a similar "quiet spell" is connected to a cooling of temperatures in a period of time called the Maunder Minimum. Also known as the Little Ice Age, it lasted 70 years from 1645 to 1715 and featured The Great Frost which froze the River Thames in London for days. The remains of a historic fortress, which protected the city during the English Civil War, have been unearthed at Bristol University. The Royal Fort, which stood on St Michael's Hill, was one of the most significant fortifications of the war, which began in 1642, and was the strongest part of Bristol's defences. Because much of the fort was destroyed in 17th and 18th centuries and its exact location, until now, had been a mystery. RESULTS from an historic dig are to be presented at a Golden Valley church. The main part of St Peter’s Church in Peterchurch is to be turned into an area to deliver children’s services in the autumn. Pews have already been recycled and archaeologists from Border Archaeology have come to the church and have taken it back to how it was before its Victorian restoration. Location: Worldwide Length: 31 min. The world's best films and videos on archaeology and indigenous peoples are showcased at The Archaeology Channel International Film and Video Festival, to be held 19-23 May 2009 in the Soreng Theater at the Hult Center for the Performing Arts in Eugene, Oregon, USA. The Keynote Speaker will be Dr. Zahi Hawass, Egypt's leading archaeologist. This preview includes a short clip from each of the 18 competing productions. Film-makers from 25 countries submitted 87 entries for this event, which is one of the world's few contests for heritage film. Men are needed for DNA tests to prove their distant ancestors moved from the Mediterranean to north west Wales as migrant workers 4,000 years ago. Participants will be asked for a cheek swab sample for genetic analysis. Researchers at the University of Sheffield hope to link the migration of men in the Bronze Age to the discovery of copper. A medieval gatehouse has been discovered near Selby Abbey, in Yorkshire, during work on redeveloping the town's market area. The gatehouse was demolished in 1792, and was once linked to the main door of the Abbey by a long corridor. It stood on the outer wall of the Abbey which, it is believed, once extended out nearly as far as where the market cross is today. PROPOSALS BY the Government to nominate Monasterboice as well as Glendalough, Durrow, Clonmacnoise and Inis Cealtra for consideration by Unesco as World Heritage sites will be outlined to county councillors in Louth this morning. Monasterboice is an early mediaeval monastic site in Louth said to have been founded in the 5th century by St Buithe, a follower of St Patrick. 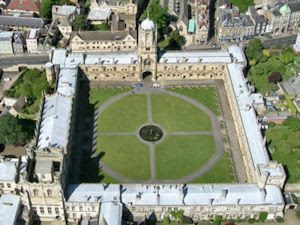 Archaeologists are using radar to try and discover what is hidden under the mound of Oxford castle. Researchers hope to get a picture of what the original structure looked like during a month long project. Subsidence work carried out last year uncovered evidence a ten-sided tower once stood on the site. Last week's powerful earthquake in the central Italian Abruzzo regional capital L'Aquila has unearthed prehistoric dwellings there, according Italian daily La Stampa. Some of the vaulted caves measure up to five metres in height, according to Italian geologist Gianluca Ferretti, quoted by the daily. "We are exploring them," said Ferretti, who teaches geology at L'Aquila's university. One the biggest caves is located near L'Aquila's bus terminal, in via di Collemaggio. The caves date back 15,000 years, according to geologists. Did Humans Learn From Hobbits? Thousands of small, sharp-edged flakes of volcanic tuff and chert have been unearthed from the cave of the "hobbit," the roughly 1-meter-tall ancient human found on the island of Flores in Indonesia. The stone tools have puzzled researchers: How could a hominid with a brain the size of a grapefruit craft tools? Now a detailed analysis sheds light on the hobbit's technological capabilities and raises a new mystery: Why did the modern humans who arrived later on Flores make tools the same way hobbits did? Archaeologist Mark Moore of the University of New England in Armidale, Australia, and his colleagues studied 11,667 stone tools recovered from Liang Bua Cave on Flores. Excavators have unearthed hobbit bones in cave layers dated to between 17,000 and 95,000 years ago. These older layers lie beneath a layer of volcanic tuff dated to 12,000 years ago. Above that layer, at 11,000 years and younger, researchers have found Holocene burials of Homo sapiens along with more tools. ARCHAEOLOGISTS are using hi-tech radar equipment to find the historic position of a wooden tower built for William the Conqueror. In August last year, the historic mound at Oxford Castle reopened to the public following costly repair work. A substantial part of the 900-year-old Norman structure slipped several metres towards New Road in February 2007, following heavy rain. What are the archaeological signatures of shamans? An interesting paper by Christine VanPool appearing in the Journal of Anthropological Archaeology in the nearish future gives us a framework for answering that question. First VanPool provides a useful delineation of the cultural traits of shamans and priests, which I've used to build a couple of detailed definitions (here: Priest and Shaman). In brief, though, the way VanPool sees it, shamans and priests are two ends of a continuum of religious specialists. Britain has the most vigorous and highly evolved (not to mention interfering) heritage "industry" in the world. Of course, it's a bureaucracy not an industry, but we have somehow fallen into using that term. You could actually argue that since in post-industrial Britain factories which manufacture useful things are mostly memories, the I-word is itself an elegiac reminder of the once magnificent industrial system we have lost. Heritage is ever nostalgic. Certainly, vast resources are deployed in the heritage bureaucracy with commensurate impact of national life. The National Trust has a turnover of more than £300m while English Heritage has a grant-in-aid of £129.4m and adds another £50m or so to its budget from gate money, fund-raising and profits from selling erasers decorated with (maybe I am fantasising here) pictures of Bolsover Castle to schoolchildren. A walk led by Roy Canham to explore the archaeology of Salisbury Plain Training Area (Wiltshire, England) is organized for Saturday, 25 April, 2009 at 2 PM. It is a rare opportunity to see the historic landscape in areas that are usually closed to the public. This year the walk will be to the group of Neolithic Long Barrows and earthworks around Tilshead Lodge. Before his retirement in 2006, Roy Canham was the County Archaeologist. He has unrivalled knowledge of the archaeology of the county, and was largely responsible for persuading the MOD to introduce measures to protect archaeological remains on their land from damage during military training, some of which will be seen and explained during the walk. An archaeological dig at a medieval castle in East Sussex is expected to reveal evidence of the harbour and trading post on the site. Experts from Archaeology South East are beginning a three-day dig at Bodiam, a moated castle near Robertsbridge. The archaeologists are also expected to discover evidence of the leat, or stream, which fed the mill pond. Scientists have found life in an ecosystem trapped underneath a glacier in Antarctica for nearly 2 million years. The microbes, they suggest, are surviving the dark, oxygen-free waters by drawing energy from sulfur and iron. The findings provide insight into how life may have survived "Snowball Earth"--periods when some scientists speculate that the planet was entombed in ice--and hint at the possibility of life in other inhospitable environments, such as Mars and Jupiter's icy moon Europa. Researchers have found microbial life surviving in the most unusual places: the depths of cold and dark oceans, seething geothermal vents, and the deepest layers of permafrost. And ever since scientists discovered Antarctica's dark and mysterious subglacial lakes in the late 1960s and early 1970s, they've wondered if microbes could make a life for themselves there too. But the challenges of drilling through kilometers of ice and concerns about contaminating these pristine lakes have curtailed previous efforts to find out. Archaeologists excavating an ancient burial ground in Kranj in the Gorenjsko region have found what they believe to be nine Germanic graves. The news item consists of 1.107 characters (without spaces) or 219 words. The Neanderthals inhabited a vast geographical area extending from Europe to western Asia and the Middle East 30,000 to 100,000 years ago. Now, a group of researchers are questioning whether or not the Neanderthals constituted a homogenous group or separate sub-groups (between which slight differences could be observed). Paleoanthropological studies based on morphological skeletal evidence have offered some support for the existence of three different sub-groups: one in Western Europe, one in southern Europe and another in the Levant. A GROUP of amateur archaeologists from Biggar have re-written Scotland’s history books – by proving that man inhabited this country 4000 years earlier than was first thought. The award-winning team from Biggar Museum Archaeology Group are no strangers to amazing discoveries. They have constantly pushed the boundaries of Scotland’s story back during the thirty years of their activities, but even they could not imagine what they have now found. More than a decade since it was discovered on a Norfolk beach, a new course offers the opportunity to investigate some of the controversies surrounding Seahenge. It might not look too controversial, sitting at the centre of a Bronze Age display at Lynn Museum. But arguments raged after the circle was discovered on Holme Beach, in the winter of 1998, and archaeologists decided to dig it up to study its timbers. For the next 10 weeks, students can explore the arguments surrounding the decision. Experts taking part in the course include Maisie Taylor, one of the archaeologists who studied the 4000-year-old timbers and oversaw their preservation. They’ve gone down in history as axe-wielding barbarians who raped their way across Europe. Now they’re enjoying a rehabilitation. So they weren't really so fearsome? Apparently not. Historians at a recent conference in Cambridge claim there was a lot more to the Vikings than pillage. 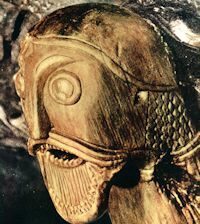 Most of the seafaring peoples who came from Norway, Sweden and Denmark between the 8th and 12th centuries – the 'Viking Age' – were farmers and merchants, rather than violent raiders, and wherever they settled they brought advanced skills in leather and wood-work and soon integrated into local communities. You might even call them 'progressive'. Women, who were free to trade and participate in political and religious life, were afforded considerable respect, as witnessed by the riches found in their graves. Vikings were also in touch with their softer side, fussy about appearance and hygiene and very fashion-conscious. Archaeologists find more Viking combs than either swords or axes. Visitors to the Neolithic village of Skara Brae on Orkney will be offered a glimpse inside the ancient homes for the first time on Saturday. The 5,000-year-old buildings can normally only be viewed from paths around the site, to aid preservation. The tours, arranged to mark World Heritage Day, will visit the settlement's workshop, main passageway, and three of its ten houses. English Heritage has denied claims there is "little evidence" that the Elizabethan garden at Kenilworth Castle ever existed. The claim was made at a public meeting before work on the garden began, according to an article in The Sunday Times at the weekend. The article was largely about a new TV documentary called English Heritage which looks at several different projects on properties in the UK, including the Kenilworth garden. Thessaloniki's Aristotle University displays the findings of a recent excavation at the Vergina archaeological site in northern Greece. The artifacts, which were found in a tomb, include a golden cylindrical container for skeletal remains inside of which archaeologists found a gold oak-leaf wreath. NATIONAL experts on Anglo-Saxon England were in Whitby recently. The Anglo-Saxon weekend was organised by Jo Heron, secretary of the Yorkshire Archaeological Society, Christiane Kroebel, and Chair Dr Gill Cookson. Dr Cookson told the Gazette that the weekend had been a great success with people travelling from all over the country to attend. Led by his affection for archaeology or purely commercial aim, an entrepreneur from the Bulgarian town of Veliko Tarnovo decided to dig at the place where some years ago was the famous pub “Katsata” in order to search for the ruins of a medieval catholic church, informs “Yantra today”. For the first the diggings are funded by a private person – the construction entrepreneur Stoyan Stoyanov is funding the research with own resources. While we worry about global warming affecting our future, it will also damage our past. Archaeological sites from the frozen steppes of Central Asia to the coast of Greenland are threatened by climate change. In the survey Sites in Peril for the Archaeological Institute of the American publication Archaeology, Andrew Curry says that “archaeologists can’t stop global warming but they can make dealing with it a priority”. Unique marble slab with the image of Alexander the Great and a passage of an inscription was discovered in archaeological excavations in the ancient Baktriya, Baktriya Press Agency informed. The giant cats that roamed the British Isles, as well as Europe and North America, as recently as 13,000 years ago were lions rather than giant jaguars or tigers, a team led by Oxford University scientists has proved. In order to determine the family tree of these cats, which lived in Britain during the Pleistocene (1.8 million years ago – 10,000 years ago), the team analysed DNA from fossils and other remains gathered from Germany to Siberia in Europe and Alaska to as far south as Wyoming in the USA. A report of the research is published in this week’s Molecular Ecology. The imaginative depictions of Vikings popularised by national romanticism during the nineteenth century may not have been so wide of the mark, it seems. Horned helmet BA 103 A new find from the far north of Scotland suggests that contrary to popular belief, the Vikings did in fact wear horned helmets. Giant lions were roaming around Britain, Europe and North America up to 13,000 years ago, scientists from Oxford University have found. Remains of giant cats previously discovered were thought to be a species of jaguar or tiger but after DNA analysis they were proved to be lions. They were 25% bigger than the species of African lion living today, and had longer legs to chase their prey. Derbyshire and Nottinghamshire County Councils launched a survey of small towns in the two counties in 1997 as part of the national EUS programme instigated and funded by English Heritage. In Derbyshire 22 small towns were surveyed to provide high quality data about the archaeological potential of the towns and their historical development for archaeologists and the local planning authorites. The reports utilised information from the county Historic Environment Record and a range of accessible secondary sources; at least one visit was made to each of the towns in the study. The value of the reports for the identification of conservation areas and the preparation of conservation area appraisals has also been recognised. The workshop, unearthed by archaeologists of the culture ministry's 17th directorate of prehistoric and classical studies, was discovered north of the new entrance of the Pella archaeological site. It is believed to have been in operation between the final quarter of the 4th century BC and 200 BC. A plumbing system used to clean the potter's clay is among the most notable findings, while a furnace and storage areas were also uncovered. The discovery of the oldest known infant born with a skull deformity hints that, contrary to popular belief, early humans might not have immediately abandoned or killed their abnormal offspring, a new study says. Many mammals are known to reject newborns with severe deformities. Scientists had therefore assumed that ancient humans behaved likewise. But a new study shows that a 530,000-year-old fossil skull belonged to a child who lived to around the age of ten despite being born with a rare birth defect known as craniosynostosis, in which the skull segments close too early, interfering with brain development. A new archaeologist has been appointed at Lichfield Cathedral. Kevin Blockley succeeds Dr Warwick Rodwell who has retired after 26 years as consultant archaeologist. He is currently the managing director of Cambrian Archaeological Projects Limited in Powys and acts as consultant and project manager for major ecclesiastical projects throughout the UK.